Canadian filmmaker Patricia Sims has always had a thing for large-brained megafauna of the earth—dolphins and whales—and following that, the land mammals. To learn more about these amazing animals, she took to filming stories about them. Formally a narrative filmmaker, she switched to the documentary form to pursue this specific calling. As she explains it: “I really lost interest in narrative film because I found the real world was much more interesting. I realized that storytelling through documentary film was capable of elevating people’s awareness and consciousness about issues I was concerned with, which in my particular case was the natural world.” Particularly intrigued by the complexities of human/animal relationships that have developed down through time, Patricia found an ideal subject in the Asian elephant, featured in her new film, When Elephants Were Young. Patricia made When Elephants Were Young with her longtime filmmaking partner, fellow Canadian Michael Clark. 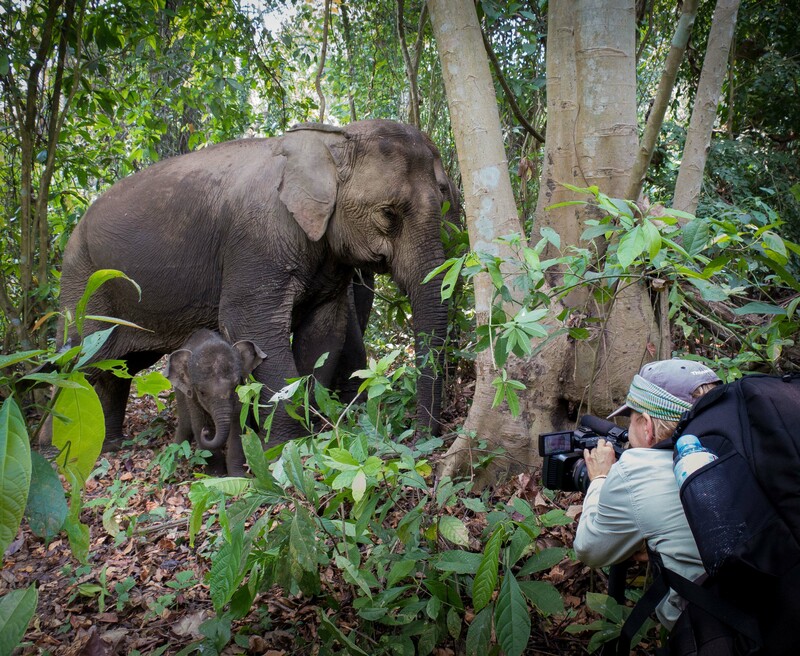 Their previous documentary Return to the Forest chronicled the successful and ongoing mission of the Elephant Reintroduction Foundation of Thailand to return captive elephants to the wild. That earlier film highlights the work and mission of this organization, which was initiated in 2002 by Queen Sirikit of Thailand. Over the course of its history, the Elephant Reintroduction Foundation has reintroduced over one hundred formally captive elephants to protected wildlife sanctuaries that are co-managed by the Royal Forest Department of Thailand, and the Foundation. Patricia and Michael’s new feature-length documentary, When Elephants Were Young, details the life of Bangkok elephant Nong Mai, and her “mahout” (caretaker and trainer), a young man named Wok. Nong Mai and Wok attempt to forge a living by illegally begging on the streets of Bangkok, facing indifference if not outright hostility at every turn. This is a demeaning devolvement from a culture that once elevated the sacred elephant/human dynamic. Patricia’s first Asian elephant experience was in China, in southwest Yunnan Province. She had traveled there to see China’s population of wild elephants. That was the first stage of her research into all things elephant. Here in the wilds of China she also encountered a staged show featuring seventy ornately costumed Asian elephants. She was to discover that these elephants were elephants from Thailand, as were their mahouts (keepers). That was Patricia’s introduction to Thailand, the “Mecca of the human/elephant experience,” as she calls it. She and her crew met the stars of her current film, Wok and Nong Mai, as a result of those early travels to Thailand in 2010, and soon thereafter realized that Wok and Nong Mai’s story was crying out to be told. She was intrigued by the close emotional relationship that Wok shared with Nong Mai and wanted to find out what made that tick. Patricia and her crew had to earn the trust of both Wok and Nong Mai—a trust that developed gradually over time. Patricia attributes this trust engendered in part to the fact that she and her team were very nonjudgmental about the circumstances that had led Wok to beg on the streets of Bangkok with the captive elephant who was also his best friend. Other challenges involved staying on the right side of the law as she and her crew followed the largely illegal activities of Wok and Nong Mai with their cameras. Return to the Forest and When Elephants Were Young both put a spotlight on a primary threat to the survival of the Asian elephant: shrinking habitat as a result of the human family’s accelerated growth rate, which continues to make inroads into elephant habitat in a myriad of ways. “That’s the number one issue, but how we treat them in captivity and the exploitation, the abuse, is the longer-term issue,” Patricia commented. She is referring to the growing tourist trade in Asian countries, wherein as many as fifty wild elephants are captured as babies every year and their spirits broken to condition them to a life of subservience in “eco-friendly” tourist camps, zoos, and circuses. Fifty elephants might not sound like so many elephants, but consider that the lifespan of a captive elephant is typically shorter than that of its wild counterpart and that a sexually active female only gives birth every four to five years, with a gestation period of twenty-two months. “It’s not like they breed quickly like rabbits,” Patricia notes. In addition to that, there’s been a consolidation of captive elephant management practices. “Part of the problem in Thailand has been that elephants were being managed through the various ministries of the government, which didn’t allow for a set standard of conduct regarding these management practices. This made it very difficult to find all the loopholes. There’s been a movement to simplify that process,” she added, noting that complete reform in this area will no doubt take some time to achieve. 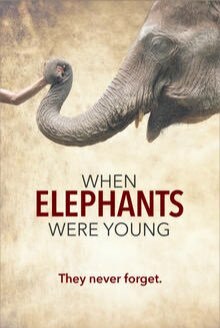 When Elephants Were Young is narrated by fellow Canadian William Shatner, as was Return to the Forest. He is a dedicated animal rights activist and has been quite vocal in the ongoing issue involving Lucy, a zoo elephant in Edmonton, Canada, who has lived a life of solitary captivity at the Edmonton Valley Zoo for the past thirty-nine years. This deplorable situation continues to exist despite a massive amount of condemnation by animal rights groups and concerned individuals to remedy this terribly sad scenario. According to Patricia, “William Shatner is really generous with his time on the elephant issues.” That’s probably due to the fact that he may be classed as a rather large-brained megafauna himself, as Patricia clearly is too. When Elephants Were Young will be released on World Elephant Day 2016 in select theatres in the US and Canada, and also available to purchase online including iTunes. Proceeds are donated to World Elephant Day!